I was asked to choose someone from a book/game/movie, the character has to be abnormal, and I can only write about them if they relate to me. Picking a character to write about is proving to be difficult, taking a while. I'm going to write about the species in the game Skyrim called the Khajiit. Let me start by saying that the Khajiit are cat-people (I don't know why i'd consider them abnormal, however). Khajiit have a wide variety of cat features and looks. Some can look like simple domestic cats, whereas some can resemble more tigers or lions. 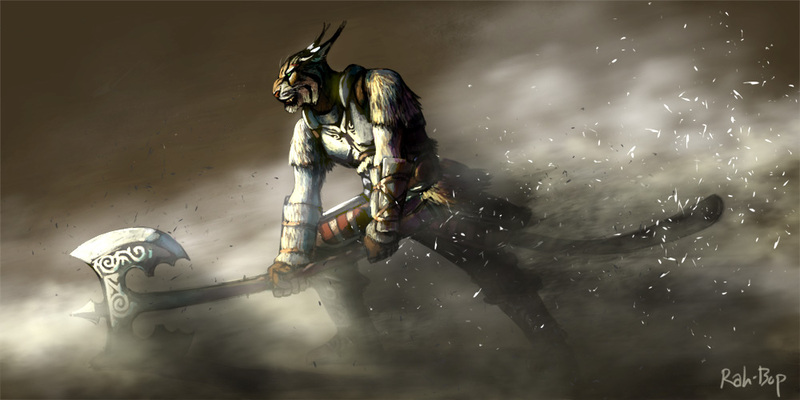 Often being discriminated against in the world of Skyrim, the Khajiit turn to thievery and stealth. This particular race is known to speak with a slur, almost as if purring, with traces of slyness on their tongue. The Khajiit often share attributes with cats, not surprisingly, such as the stealth. Although this may not mean much to you, Khajiit begin in the game with higher levels in lock picking, pickpocket, and sneak. They also are more skilled in one handed weaponry than two handed, although the picture above may suggest otherwise. 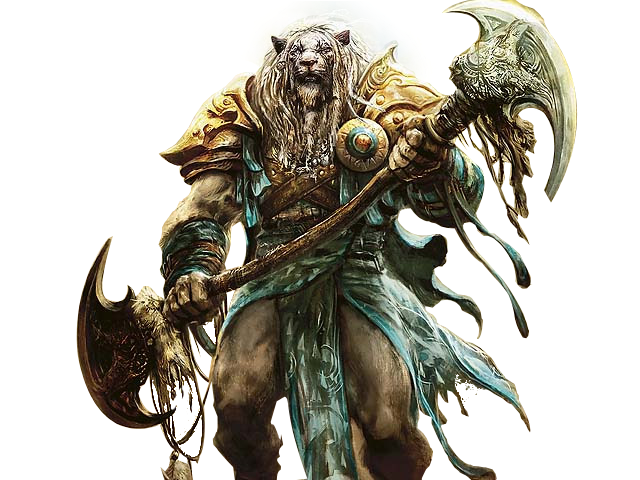 Khajiit usually wear lighter armor to allow themselves to move more swift. Like the Khajiit I prefer to stay quiet; I prefer darker, more secluded areas than loud and busy. I am on the school cross country running team (even though i'm admittedly not the best of the lot) and am capable of swift movement. Although this is probably not to good to admit, if I could start again I think it would be interesting to attempt to live a lone, shadowy life. In the game Skyrim my character is a Khajiit.